Flaming Turkish Towel has a comfortable texture. 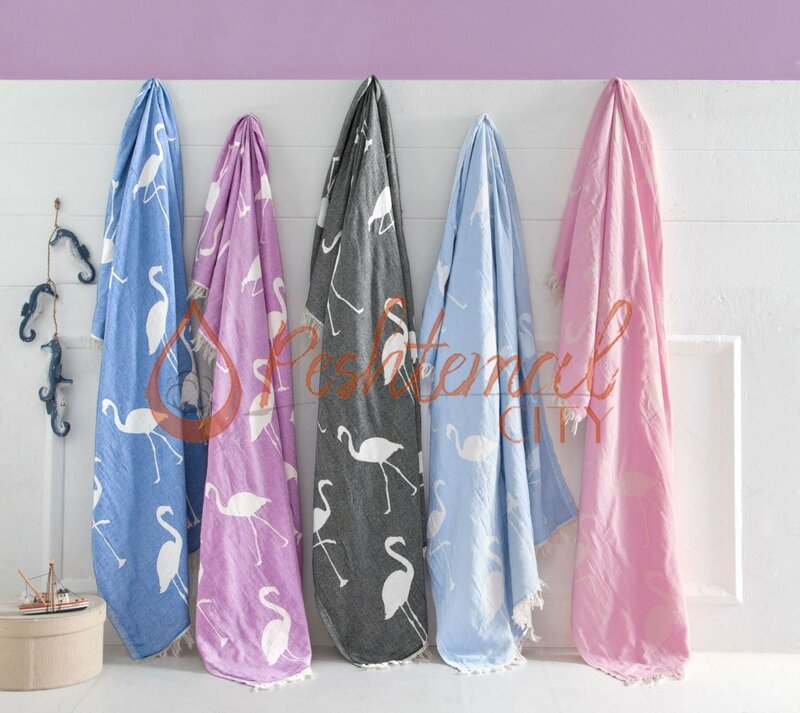 Woven 100% from high quality Turkish cotton, Flamingo Turkish Towel is highly absorbent, quick drying, soft and durable. It only weighs 310 grams and has a size of 90x170 cms. 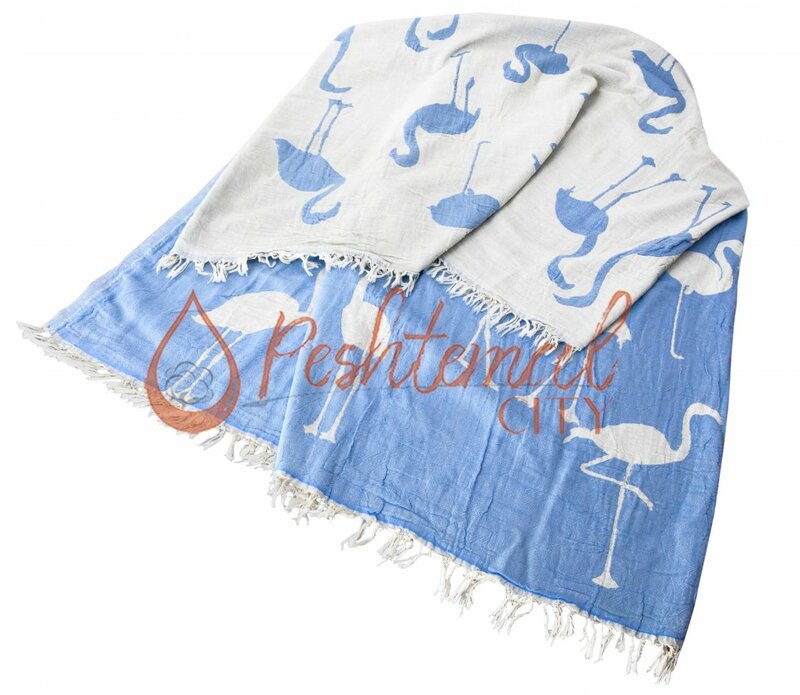 Contact us now to decorate your hotel rooms, country clubs, spas and hammams with Flamingo Turkish Towels!